This item is a part of the "Other Project Kits" mix & match category. Mix & Match with other other project kits for quantity discounts. Price is for one napkin holder ring kit. 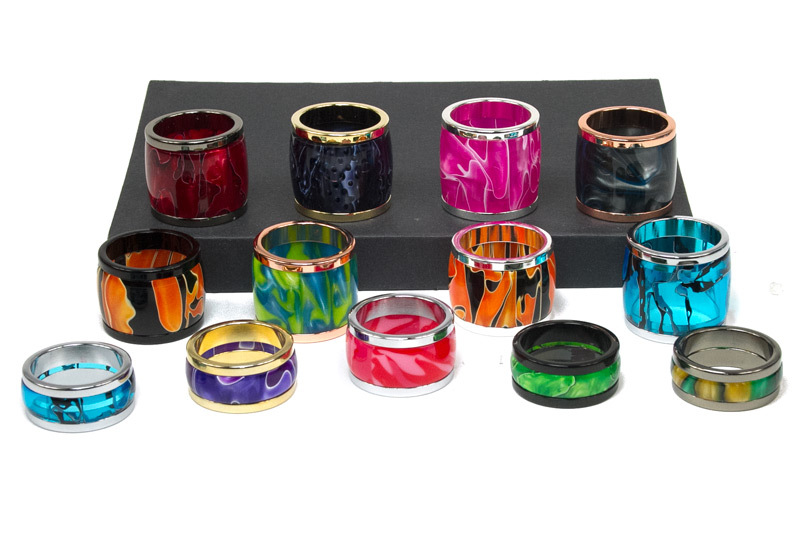 Bring character and style to even the most casual place settings with one-of a kind napkin rings; available in Gold, Chrome, and exclusive to Bear Tooth Woods: Black, Bright Copper, Gunmetal, and Silver. 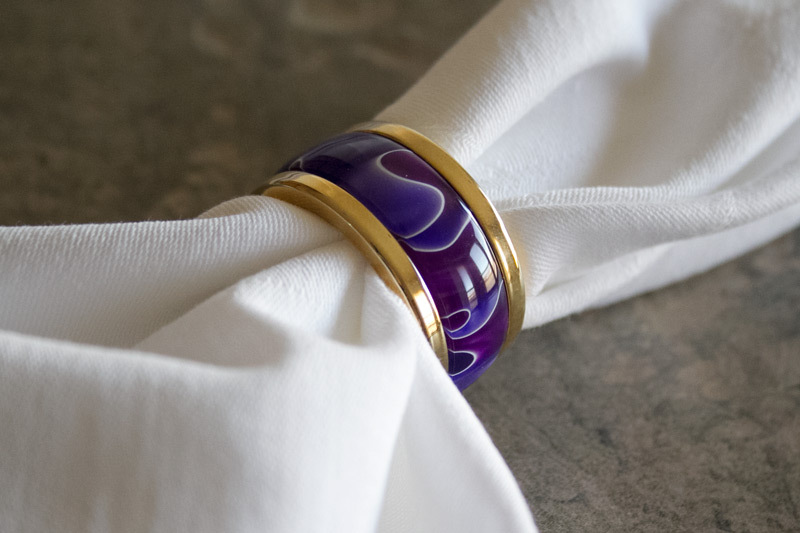 The napkin rings are easy to make and will enhance the look of your table in minutes. 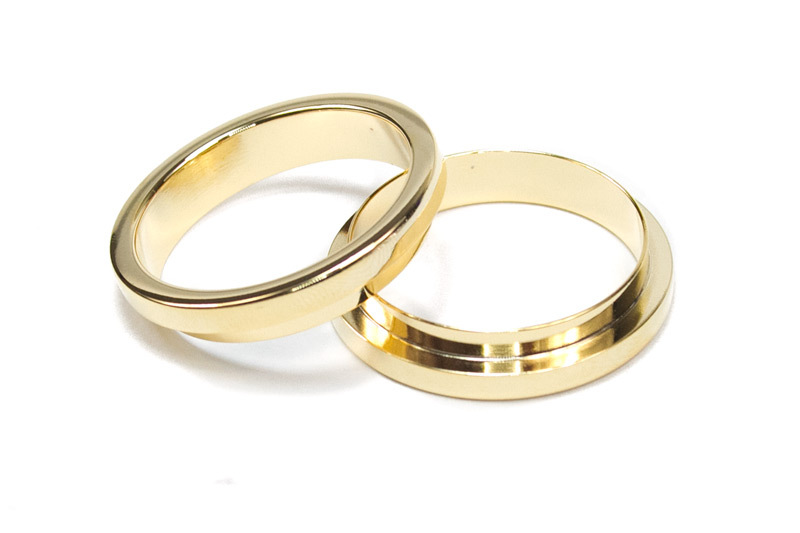 They are perfect for bridal showers, wedding receptions, anniversary gifts and wedding gifts. Click here for the napkin holder ring instructions. 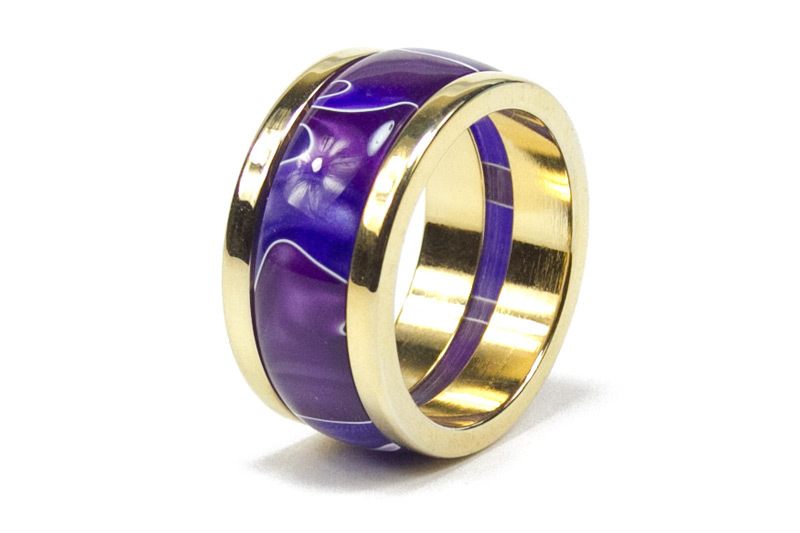 - Requires blanks that are 1.5" square and up to 1" in length (if using the napkin ring mandrel). 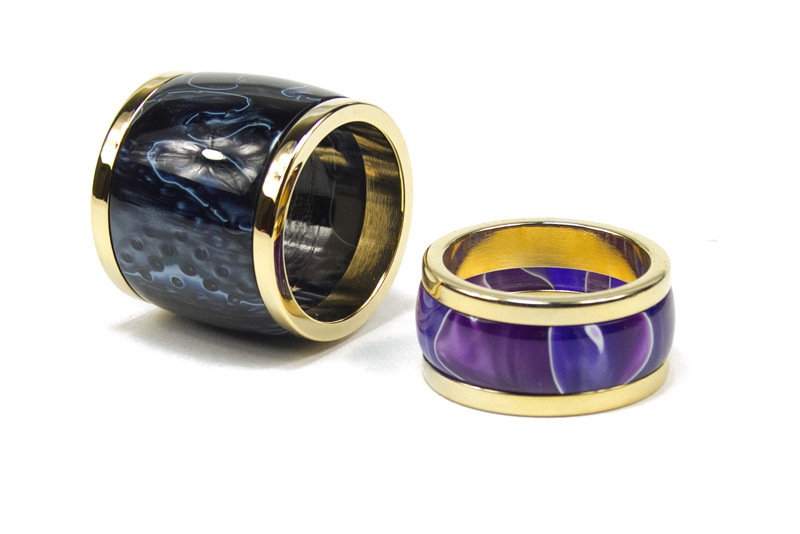 Napkin Ring shown finished with a Blue Purple Swirl Bear Tooth Woods acrylic 2" bottle stopper blank (sold separately).